Asian tiger mosquito, one of three invasive Aedes in LA County. 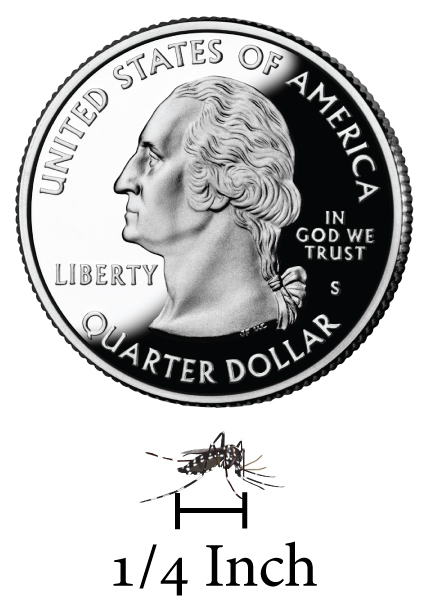 Los Angeles, Calif. – For the fourth year in a row, two Los Angeles County vector control districts are tackling potentially dangerous, invasive mosquitoes and the public health agencies are asking residents for help. The Greater Los Angeles County Vector Control District (GLACVCD) and the San Gabriel Valley Mosquito and Vector Control District (SGVMVCD) have been working together since 2011 to control these invasive mosquitoes. 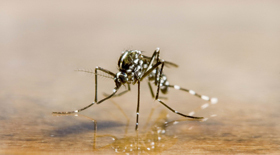 Three recent mosquito introductions now impact Los Angeles County residents – the Asian tiger mosquito (Aedes albopictus), yellow fever mosquito (Aedes aegypti) and Australian backyard mosquito (Aedes notoscriptus). These mosquitoes have been found in cities in and around San Gabriel Valley. They are excellent at colonizing new areas and vector control officials warn that these invasive Aedes could be anywhere in the county. The Asian tiger mosquito currently poses a larger threat compared to the other two invasive mosquitoes since it is the most pervasive in L.A. County. Discovered in 2011, there are now 15 communities experiencing Asian tiger mosquito infestations – up from three communities since the beginning of 2014. Much of the fight against these six-legged invaders occurs in the backyard. Invasive Aedes are able to lay eggs on the walls of small containers, including buckets, plant saucers, and even in recyclables that can hold standing water. Their ability to adapt to urban environments makes these mosquitoes extremely difficult to control in cities around the world. The presence of invasive Aedes increases the risk of residents being exposed to exotic diseases such as dengue, chikungunya, and yellow fever. These viruses are currently not transmitting locally. Vector control officials actively monitor and control invasive species wherever they are found through grassroots door-to-door inspections, source reduction, mosquito control, and education programs. Year-round population monitoring yields crucial data necessary to determine the best control options. REPORT any sightings of small, black-and-white mosquitoes, or if you are being bitten by mosquitoes during the day! Residents can contact SGVMVCD at 626-814-9466 or GLACVCD at 562-944-9656 or online at www.ReportMosquitoes.org. Dump and drain all water around your home. Eliminate plant saucers and other unnecessary containers and thoroughly scrub outdoor pet water dishes weekly to remove eggs. Do not transport or share plant stems rooted in water. Do not keep outdoor buckets full of water. Use insect repellent containing CDC-recommended, EPA-registered active ingredients, such as DEET, Picaridin or oil of lemon eucalyptus, to avoid bites. 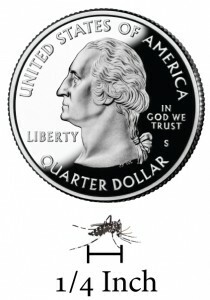 For more information please visit the GLACVCD’s web page about invasive Aedes and SGVMVCD at www.sgvmosquito.org.